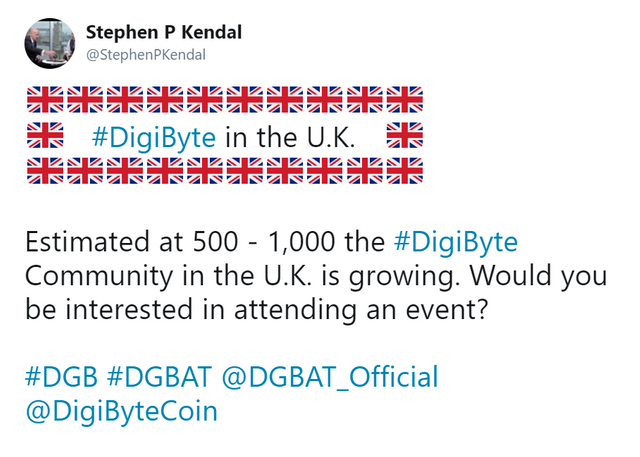 Estimated at 500 - 1,000 the DigiByte Community in the U.K. is growing. Would you be interested in attending an event? Twitter Poll running. Please feel free to leave a comment below. Would you be interested in attending a #DigiByte #Blockchain event in the U.K.? Estimated at 500 - 1,000 the #DigiByte Community in the U.K. is growing. Would you be interested in attending an event? 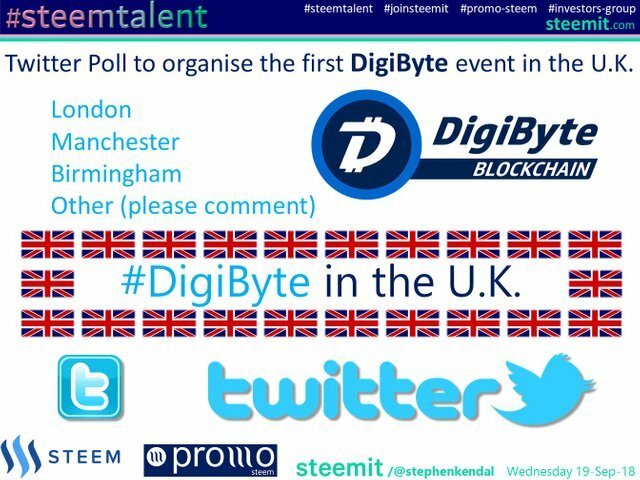 Please feel free to leave a comment below if you would be interested in attending a #DigiByte #Blockchain Event in the U.K. or if you are on twitter and would be interested, please let us know with a vote. Steemit is really amazing,always success.